Don't like the taste of broccoli? Don't worry! 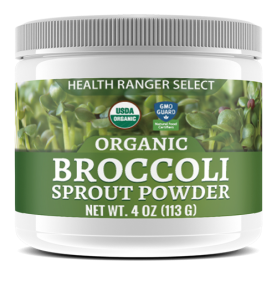 It's easy to mix our broccoli sprout powder into smoothies, juice, salads, or practically anything else. WHAT'S SO GREAT ABOUT SPROUTS? 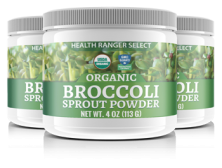 Every batch of our Organic Broccoli Sprout Powder (also available in capsules) is gently prepared to retain as many nutrients as possible. It's the perfect alternative if you don't like the taste of broccoli or just want to work extra nutrients into your diet each day. They're incredibly rich in sulforaphane, glucoraphanin, and glucosinolates. According to Johns Hopkins University, broccoli sprouts contain as much as 50 times the concentration of phytonutrients compared to the mature broccoli head. Sprouts are a naturally rich source of Vitamins A, C, and K.
During the sprouting process, minerals like magnesium and calcium bind to proteins, making them far more bioavailable. 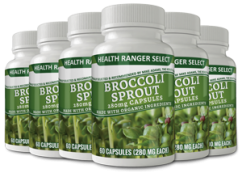 The current lot of Health Ranger Select Organic Broccoli Sprout Powder guarantees at least 51108mcg of glucoraphanin per serving (3g), and Broccoli Sprout Capsules guarantee at least 9540mcg of glucoraphanin per serving (2 capsules). 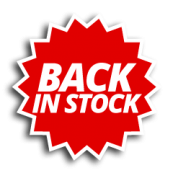 Reduces the signs of premature aging and helps fight free radical damage. Though sulforaphane occurs in low levels in many plant-based foods, some of its highest levels are found in broccoli sprouts. 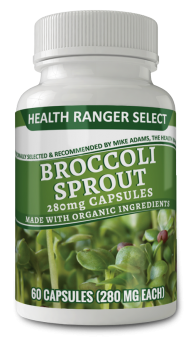 The current lot of Health Ranger Select Organic Broccoli Sprout Powder guarantees at least 23010mcg of sulforaphane per serving (3g), and Broccoli Sprout Capsules guarantee at least 4295mcg of sulforaphane per serving (2 capsules). 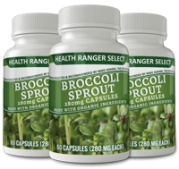 The current lot of Health Ranger Select Organic Broccoli Sprout Powder guarantees at least 65163mcg of glucosinolates per serving (3g), and Broccoli Sprout Capsules guarantee at least 12164mcg of glucosinolates per serving (2 capsules). 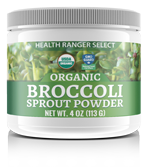 We gently prepare each batch of our Health Ranger Select Organic Broccoli Sprout Powder (also available in capsules). 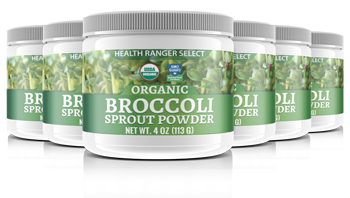 No sweeteners, preservatives, or artificial colors or flavors are ever added, and we use only the highest-quality organic, non-GMO broccoli sprouts to produce our powder. Every batch is lab-tested for purity, kosher certified, and 100% China-free, so you can trust that every serving contains just the nutrients your body needs to thrive. Make sure to sign up for our Clean Food Rewards program before you place your order, and you'll receive 5% back in rewards points to apply to future orders as well.